Panda wonders whether he'll get a present for Christmas — until Rin Rin shows up with a knitted pochette for Panda, which the latter accepts reluctantly. Penguin, eager to show off his storytelling, tries in vain to find a party to appear at before deciding on Bar the Grizzly. 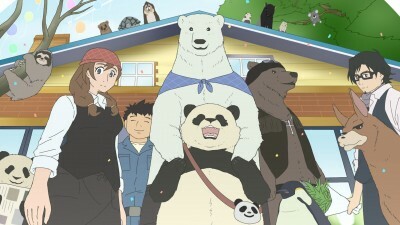 Panda and Mei Mei argue over whose picture should be sent to Handa as a Christmas present, and Llama and Alpaca use their wool to create scarves and other garments.